On Saturday, records fell along with Seton Hill at Biemsderfer Stadium. 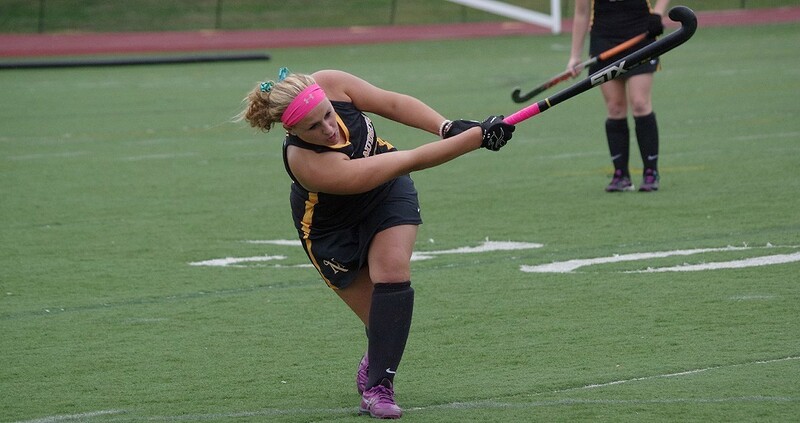 Millersville field hockey picked up their school-record sixth consecutive shutout, while also improving to 10-0 to set another record of best start to a season. The ladies ended up breaking those records one day later as they blanked Newberry 4-0 at home. The shutout record stood since 1950. MU had three teams start 9-0 but now the record is 11-0. “The defense, the kids knew [about the records]. We do not talk about it. We do not talk about outcomes. 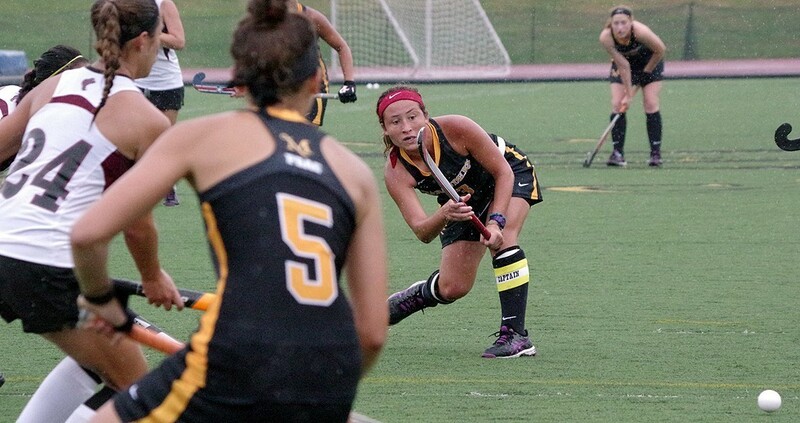 There will be a time and place to reflect back and really enjoy and say hey this is really significant,” Millersville field hockey head coach, Shelly Behrens said about the record setting performance on Saturday. Aubrey Hartman has strengthened the backline for the Marauders. Photo courtesy of MU Athletics. The Marauders are not shy when it comes to significant games. They beat West Chester on ESPN last month 1-0 in overtime. This marked the firs time a Division II field hockey game was televised on an ESPN affiliate. The contest needed more than 70 minutes to be decided, but the no.2 Marauders defeated the no.1 ranked West Chester in a rivalry game. “The ESPN game what a cool experience to say you got to be the first. I think the real winner is division II field hockey, the real winner is field hockey, and the real winners are the PSAC. Just an honor and a privilege… To get the outcome was cool. I think to date that is the best we played. To win the match was a bonus,” Behrens said about the historical game that aired on ESPN3. Behrens team may be undefeated on the season, but when talking to her you would not know it. She calls herself, “the unhappiest 11-0 coach” since she focuses in on the present meaning she is only looking ahead to the next game. She does not get caught up in the records. Now understand, she thinks the history is great but this team is only just finding its own way now. She believes that the 2014 National Championship team created a shadow for the 2015 team. The 2015 team is creating themselves right now in front of everyone’s eyes and it may very well be something special in the books for them. The 2015 campaign includes seven more games with six of them being against PSAC opponents. Behrens calls these games “must win” since she wants the girls to control their own destiny in the regional tournament. “A lot can happen in October and no one wins a Championship in October. If we take care of business then those things will take care of themselves. Last thing I want to do is start-planning November when we haven’t taken care of October. I am very much present with the task at hand. Hey, a lot can happen,” Behrens added about finishing the month strong heading into the PSAC tournament. The Marauders are in a position to host the PSAC tournament since they have the top ranking, but Behrens would argue there is still a lot of field hockey to be played. You know what, she is right. She is just focused in on the present that happens to Shippensburg. The Lady Marauders head to Ship on Wednesday for their next bout where they hope to extend those streaks and build their own legacy.